India just announced a new national program for the development of artificial intelligence (AI) while presenting the Interim Budget 2019. The program includes setting up an AI portal, an AI hub and centres of excellence . The government has already identified nice priority areas that the AI program will hone in on. ‘Digital India’ has been a central part of the Indian government’s policies over the past five years. In the Interim Budget 2019, the Railways Minister Piyush Goyal announced that India will be setting up a new national program that will focus on artificial intelligence (AI). The national program will include setting up a centre of AI, and that hub will be supported by centres of excellence. Nine priority areas have already been identified that the government will focus on through the AI program. Goyal also announced that a National AI portal is in the works to ensure that the AI technology can reach all the people. 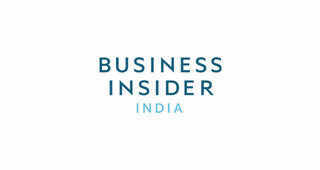 The India is set to add $957 billion to the economy by 2035 according to a report by Accenture. The report adds that AI is critical to mobilising intelligent automation, empowering the existing workforce and driving innovation. Annually, AI would be able to add 1.3% to the economy, according to Menon. "With the announcement of National Artificial Intelligence portal, we expect India to be propelled on the path of leveraging advanced and disruptive technologies for economic prosperity and growth. We congratulate the government for this forward-looking budget"
While most startups agree that this is a welcome move, Pankit Desai of Sequretek - a Mumbai based cyber security company - feels the key to the new mission's success will lie in its implementation. "The success of this highly futuristic mission rests of 3 pillars — talent, money and use cases. We would like to see more clarification from the Govt on whether this portal will be build a talent pool, where will the funding for this program will come and eventually the success stories from this initiative. Our belief is that PPP model will work to realise this goal. Because if we are able to create talent pool and there is no ground breaking work happening, then this initiative wouldn’t achieve its ambition. We also would like more clarity on how this program will be funded." Hopefully, the new importance given to the development of AI will increase the funding received by AI startups that has been considerably lower in India than in China and the US, despite the fact that the absolute number of startups dealing in AI has been increasing. The government also plans to create 100,000 digital villages over the next five years, should they win the upcoming general elections in India. "The new national scheme announced by the government on Artificial intelligence is a futuristic scheme which will promote the use of technology and digitisation. The government’s efforts in providing the necessary AI support required by startups, further emphasises the role that new technologies will play in the development of the economy. Efforts to establish 1 lakh digital villages is also a positive step towards strengthening digital penetration in rural India and will significantly increase the adoption of digital platforms across the masses." In Budget 2018-19, Finance Minister Arun Jaitley had doubled the allocation to the Digital India program to ₹307 billion. This fund was supposed to boost the development of artificial intelligence, robotics, big data analysis, digital manufacturing etc, by setting up centres of excellences in the country. The Carolina Panthers made an awesome mash-up of 16 classic video games to reveal their regular season schedule. Here's every game they referenced.